(In Frank Reynolds voice)... Gambling! 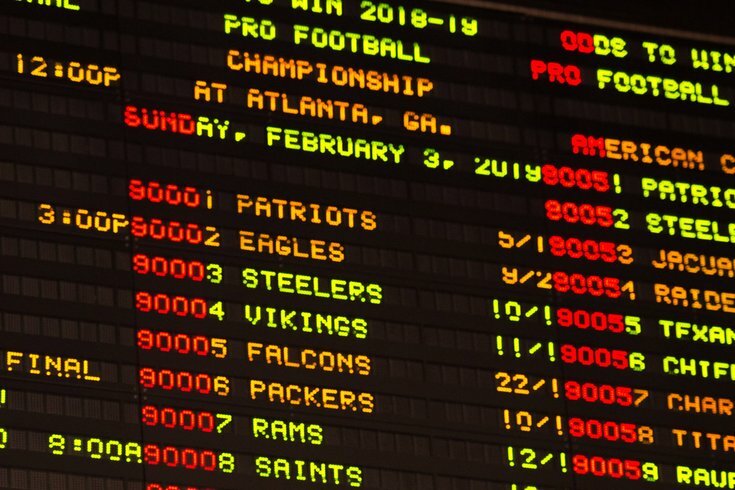 The Eagles' line has undoubtedly moved because Philly fans are plunking down a lot of bets on the Eagles. Similarly, the New York Giants, a team that looks nothing remotely close to a Super Bowl contender, moved from 40/1 to 18/1, likely because of North Jersey meatheads driving down the Garden State Parkway with fistfuls of cash and a lot of delusion. The Giants now have the ninth-best odds in the NFL. • Good buys: Falcons (20/1), Texans (25/1), Panthers (40/1), Chiefs (40/1), Redskins (75/1). • Throw your money away: Giants (18/1), Cowboys (18/1), 49ers (20/1), Broncos (22/1), Bears (40/1).